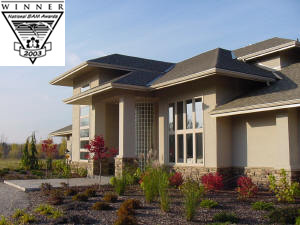 The National SAM Awards recognize excellence in new homes and renovation design, innovative technology and construction techniques, and outstanding marketing and sales activities. The competition is open to all new home builder, renovator and developer members of the Canadian Home Builders Association. All entries are reviewed by an independent panel of judges selected from across the country. 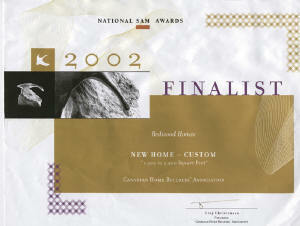 In 2002 Redwood was a top five finalist in the Custom Home, 1,500 to 2200 square foot category. 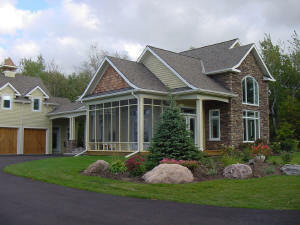 In 2003 Redwood was the winner of the Custom Home 2,200 to 3,500 square foot category.